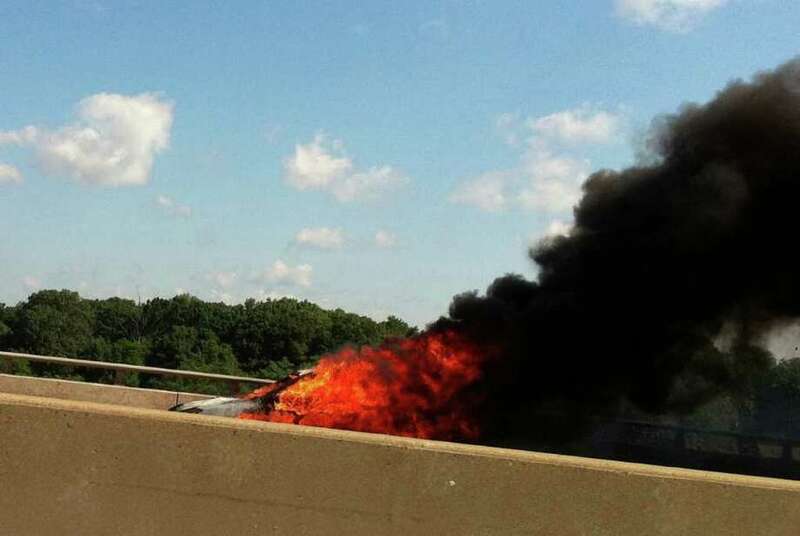 A car is fully engulfed in flames on I-95 southbound in between exits 18 and 17 in Westport, Conn. on Thursday, June 30, 2011. Traffic was snarled on Interstate 95 about an hour Thursday morning while Westport firefighters doused a fire that destroyed a car traveling south between Exits 18 and 17. A dispatcher at State Police Troop G in Bridgeport said the driver got out of the vehicle without injuries after pulling over into the right shoulder. The fire took place just before 9:40 a.m., and police closed off the right and center lanes shortly thereafter. 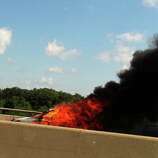 The state Department of Transportation said the car was cleared from the roadway and the lanes were re-opened about 10:30 a.m., but congestion on I-95 in Westport and Fairfield continued almost another half-hour because of the volume that had built up while the fire was burning.